At their best, elections are opportunities to debate the issues of the day, and express our preferences through the ballot box. But that assumes we have candidates on the ballot that reflect our views — and debates that include them. In Santa Monica we have at least one City Council candidate forum each election cycle that includes all ballot-qualified candidates. It is hosted by the League of Women Voters of Santa Monica Education Fund, in partnership with the City of Santa Monica, and CityTV broadcasts the forum numerous times before the election to give it wide television exposure. This City/League partnership began in 1996. One of the reasons is the League’s long track record of non-partisanship in never supporting nor opposing political candidates or political parties. This is mandatory with public dollars spent on election-related programming. Who is behind the curtain? Since 1988, the CPD has had absolute control over debate participants, formats, and moderators — and indirect control over what issues are discussed. The only presidential candidate the CPD ever allowed to participate — other than a Democratic or Republican nominee — was 1992 independent Ross Perot, who was polling at 8-10% in October 1992. 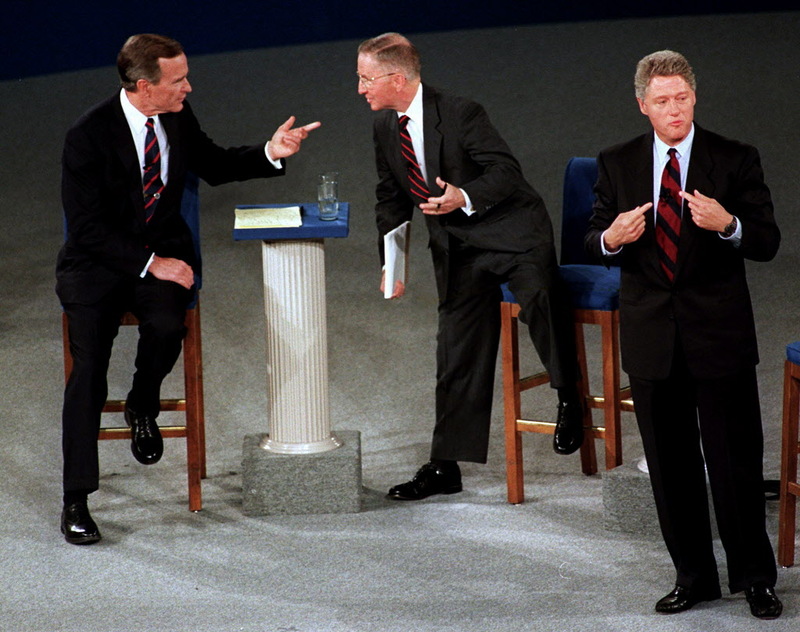 Strengthened by his debate appearances, Perot received 19% of the national popular vote in November, leaving Democrat Bill Clinton elected with only 43% — exposing the false majorities of the duopoly and making the case for ranked-choice voting for president. Perot ran again in 1996 and had almost $30 million in public financing at his disposal. 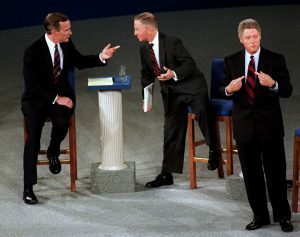 Polls suggested large numbers of Americans felt he belonged in the debates, but individually, he was polling 2-3 points lower in Fall 1996 than at the same time in 1992. Upon this basis, the CPD would ultimately not let him in. Perot wasn’t the only well-known presidential candidate the CPD planned to exclude. Ralph Nader was on the Green Party presidential ticket that year, and long-time Santa Monica resident John Bodin had just temporarily relocated to Washington, D.C., in order to work for the Draft Nader Committee based there and advocate for Nader’s inclusion in the debates. The CPD was to officially discuss the matter on September 12, 1996. Bodin — a veteran of Santa Monica’s slow growth movement — reached out to Perot’s campaign manager Russ Verney beforehand, hoping to coordinate a common approach. But Bodin’s call was not returned. Then came the CPD meeting date. In 2016 the CPD is limiting debate participation to the two least popular major party nominees in history – Democrat Hillary Clinton and Republican Donald Trump. 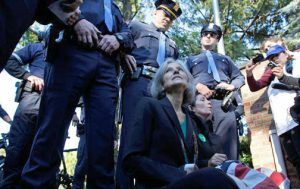 Despite receiving billions of dollars of free media between them, the two barely crack 80% in four-way polls that also include Green candidate Jill Stein and Libertarian Gary Johnson. Even those polls overstate Clinton and Trump’s combined support, as many people voting for either one of them, is primarily doing so to oppose the other. Worse yet, these polls don’t actually ask about voter preferences. Rather they ask a tactical question – “If the presidential election were being held today, for whom would you vote?” A better public opinion question would be: “who do you prefer to be president?” or “who is your first choice to be president?” Under such questioning, preferences for Stein and Johnson would likely register much higher — especially in Stein’s case, as 12 million people voted for Bernie Sanders in the Democratic primary, and Sanders ran on a platform very similar to Stein’s. We all know about the lesser-of-evils dynamic inherent in our single-seat, winner-take-all electoral system, which often causes people to not vote for the candidate they prefer the most. But polling shouldn’t internalize that – and then use that to limit who belongs in a debate. Debates are supposed to be about ideas, and then let the ideas determine who gets elected. 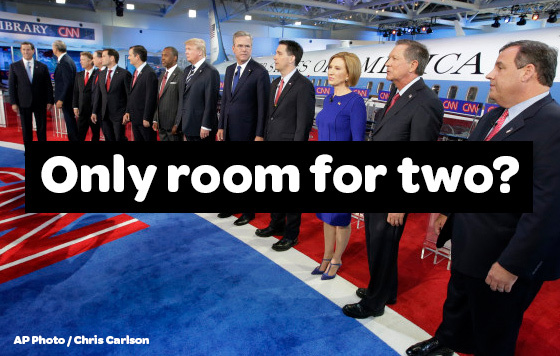 Un-rigging the presidential debates will require changing who sets the rules. Just like with Santa Monica municipal elections, we are best served for president by a truly non-partisan debate process, that will ensure critical issues are not excluded a result of bi-partisan agreement or disinterest. Instead of the CPD, it’s time for a new, publicly-funded People’s Commission on Presidential Debates, with debates objectively open to all candidates (a) appearing on at least as many state ballots as would represent a majority of the Electoral College (demonstrating a mathematical chance to be elected), as well as (b) raising enough financial contributions to qualify for public matching funds (demonstrating a basic level of campaign support and organization). That position is in the Green Party’s national platform. Candidates meeting these criteria in 2016 are Clinton, Trump, Johnson and Stein. They all belong in this year’s presidential debates. Then let the voters decide.